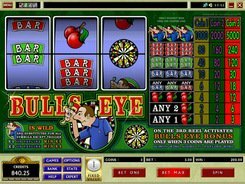 The classic Bulls Eye slot from Microgaming is fitted with three reels and a single win line. 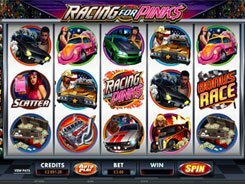 The slot has some features, such as a wild symbol and a bonus round, that you could hardly expect in Vegas-style retro machines like this. 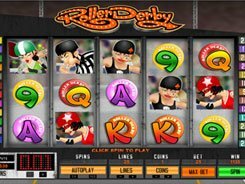 The minimum bet is $1, and the top bet amount is $3 per line, per spin. A coin denomination is fixed at $1. 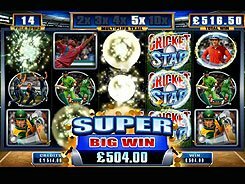 The grand jackpot makes up 5000 coins awarded for three Dart Man symbols appeared on the payline. To qualify for the jackpot, you should wager three coins per spin. Otherwise, you’ll get 1000 or 2000 coins. 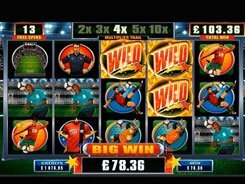 Being a wild multiplier, one Dart Man symbol can double the payout for any combination it completes, and two Dart Man symbols quadruple it. 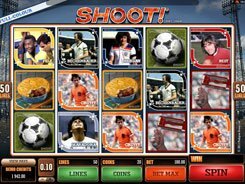 A Bulls Eye Bonus game is activated when you play with the maximum stake of three coins. The feature starts, once the Spin Dart Board scatter appears on reel 3. You’ll see a dart board divided into 20 segments, each marked with a coin amount. In the bonus feature you can potentially grab a maximum of 1000 coins.